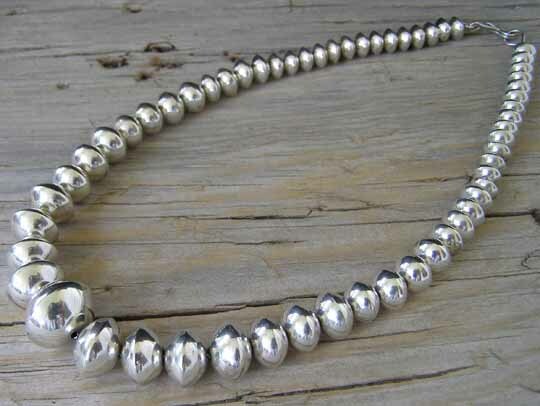 These lentil-shaped beads are graduated and buffed to a high polish. They have nice weight to them and are a nice choker length. We acquired these beads in the 1990's and they were retrieved from our New Orleans location in the aftermath of Hurricane Katrina. No hallmark on these. Guaranteed to be Navajo handmade.